The Bakerzin brand, with over a decade of experience under their hands, is synonymous with some of the most delectable and exquisite desserts in town. From their waffles, to homemade ice creams, cake, creme brulee, tarts to even their original iced specialty drinks (such as the iced honey lemon with lycees), one would definitely find something to satisfy their sweet tooth. However recently, Bakerzin have expanded their menu to cater for those who want something a bit more on the savoury side. And thus, they have shifted their concept to be that of a casual yet effortlessly chic dining cafe wherein you can find a large variety of not only sweet delights but hearty ones as well. If you prefer a light meal, then we suggest that you go âï¿½ï¿½heavyâï¿½ï¿½ on your desserts, after-all you are coming to the dessert experts! And the best way to do this is to start with their amazing salad and soup selection. With this in mind, we recommend you start with the summer salad with kyuri and carmalized almonds or the healthy glass noodle tossed in fish sauce accompanied by prawns and chillies. If a hearty meal is what you are after, you may be interested to know that their pasta dishes are garnering quite a bit of attention. Popular choices include the giant meatball spaghetti, seafood spaghetti, aglio olio, linguini with bratwurst balsamico and of course their corned beef spaghetti. Their corned beef spaghetti, is like digging into an aglio olio with shredded home-made corned beef (definitely not of the questionable massed-produced canned types), with a generous amount of birdâï¿½ï¿½s eye chillies and mushroom. Delicious. This will definitely kick start your appetite. 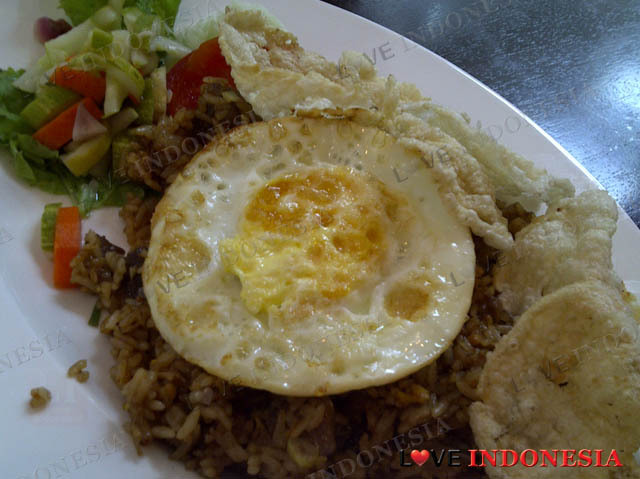 The other star main course dish is the Oxtail fried rice which is comprised of large chunks of boneless deep fried oxtail. With this appealing combination of its gelatin meat and sesame flavored fried rice, you can understand why this dish comes highly recommended. 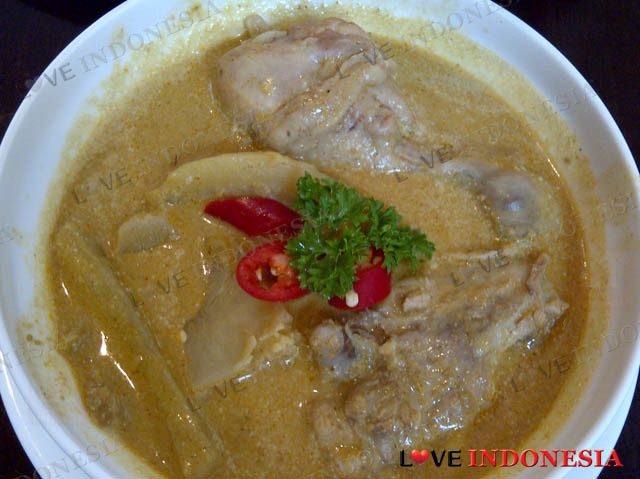 If the oxtail fried rice is too dry for you, they also serve the traditional oxtail soup or the oxtail rawon. For those picky eaters, we recommend a dish that we are sure EVERYONE will enjoy; the Chicken cutlet with potatoes pan grilled chicken- an all time favourite. The yummy chicken is served with rosemary and sweet barberque sauce with a side of sauteed potatoes and balsamico reduction. Very smokey and delicious. As for dessert, your choice is endless! However, if you only have room to try one desert, then we highly suggest to go with their speciality-the Profiteroles. This is not your ordinary bite sized Profiteroles dusted with powdered sugar, the Bakerzin version is a choux puff sliced into half and filled with a generous scoop of homemade vanilla ice cream and generous amount of almond flakes that just makes it a killer dessert. But one of the best part of their dessert menu has to be the SoufflÃ©s. When it comes to soufflÃ©s, size does matter, and by size, we mean the height of the puffiness. The higher the better. 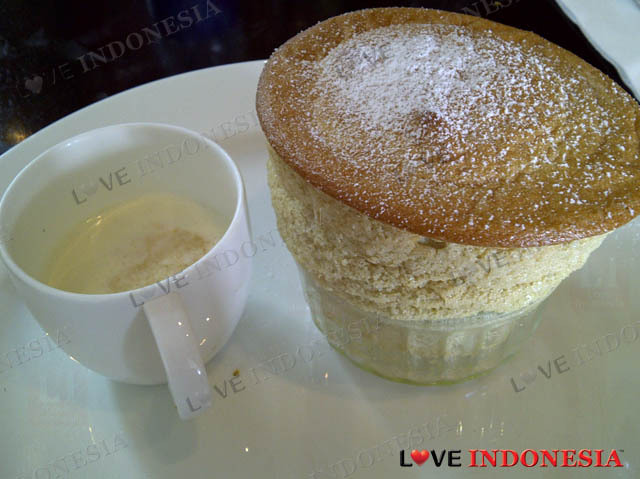 We recommend you enjoy their soufflÃ©s by poking in the middle of the soufflÃ© and drizzling the amazing vanilla sauce. There is nothing more pleasing to indulge in vanilla sauce when you see the black dots of the fresh vanilla pods, knowing that this was really made from scratch! In all, Bakerzin excels in creating and incorporating the âï¿½ï¿½home-madeâï¿½ï¿½ factor throughout their menu offerings. They offer wholesome dishes that will satisfy the pickiest of all palates.